Inside Magazine (previously The West Essex Directory) is a free bi-monthly community magazine and guide, delivered through the letterbox to approximately 15,000 households in the Chigwell and Buckhurst Hill areas in Essex and is a great way for local services and businesses to promote themselves to residents in the area! The costs of production and distribution of the magazine are met by advertisers. Launched in February 2005, the magazine rapidly grew in size, popularity and circulation and it is now very much part of the local community, encouraging local people to use local businesses. 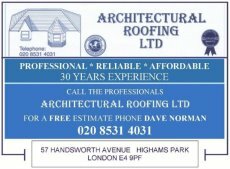 It is trusted by many Chigwell and Buckhurst Hill businesses who advertise in it as a proven way to reach new local customers. The magazine is glossy, stylish and packed with the latest community news, local information, regular features and puzzles, to ensure residents keep the magazine as a handy local reference guide. Inside Magazine is read from cover to cover and kept as a handy reference guide until the next one arrives. Our advertising works! It could be working for your business! 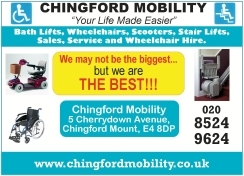 Advertising does not have to cost the earth with prices from as little as £25 per month for an eighth of a page advert. Please click on the ‘Advertise’ link above for more information.